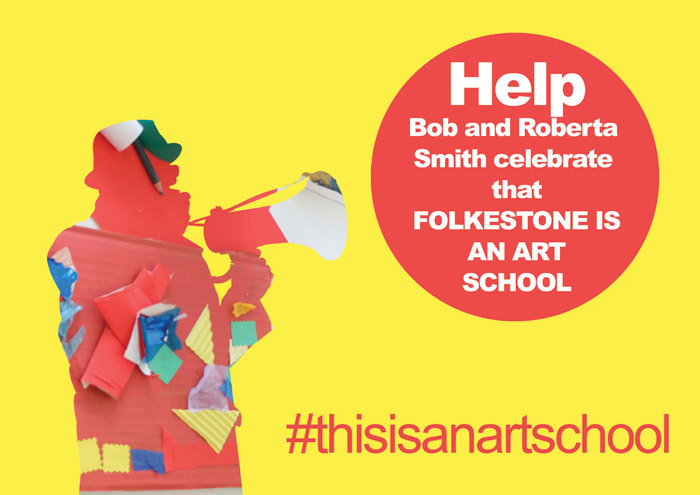 Patrick Brill — better known as the artist Bob and Roberta Smith — is on a mission to turn the seaside town of Folkestone into an art school for all, for its fourth Art Triennial and beyond. 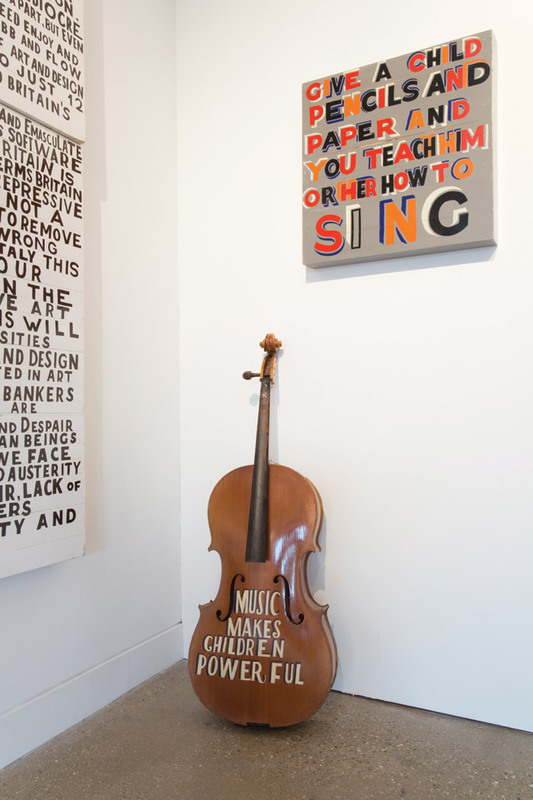 Inspired by the parlous state of the UK’s art education system, what lessons does he hope it will provide for the wider world? 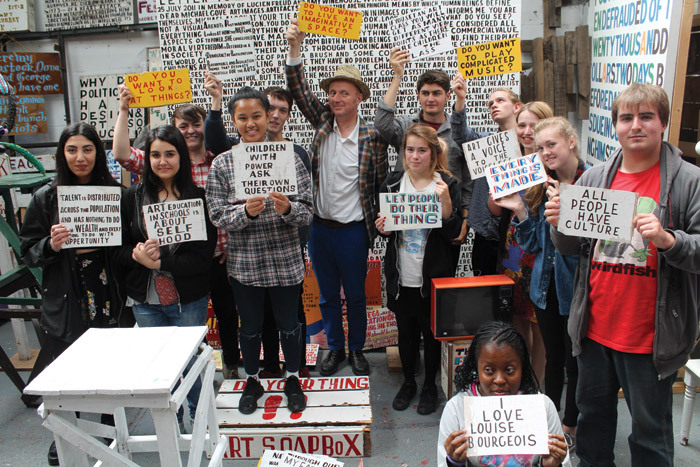 Patrick Brill, aka Bob and Roberta Smith, is an extremely nice man. He is genial and accommodating, laughs at your jokes (and his own), and no matter how bleak the discussion gets as we bemoan the state of British art education, he never seems to get angry. This is interesting for a man who had a show at his London gallery Handel Street Projects called Why I Am So Angry. 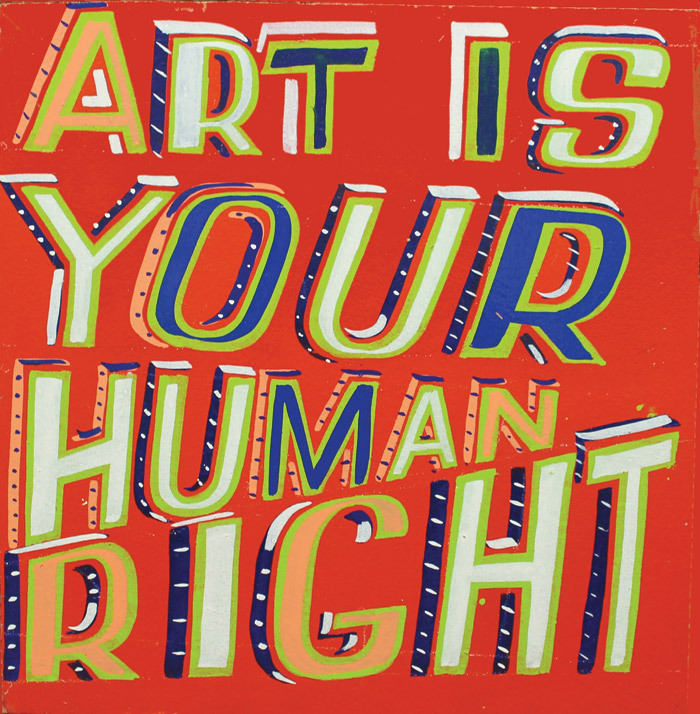 Sometimes, as I look at all the politely worded notices he has painted over the years about how Art is a Human Right, in the face of the many erosions of opportunities for anyone and everyone to practise it, I think I want him to be really hopping mad; let some missiles fly. But maybe the anger would interrupt his flow. And Brill is nothing if not prolific. 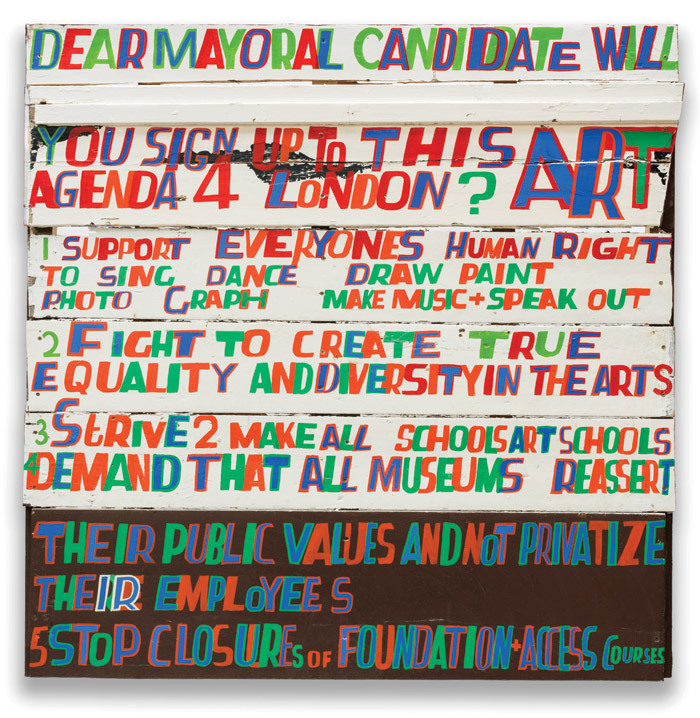 In recent years, his irreverent, colourful, slogan-tastic works proclaiming the importance of art and music have been spattered over the Yorkshire Sculpture Park and the William Morris Gallery in Walthamstow, and they made for a colourful hustings when he created, in 2013, an Art Party, to promote contemporary art. 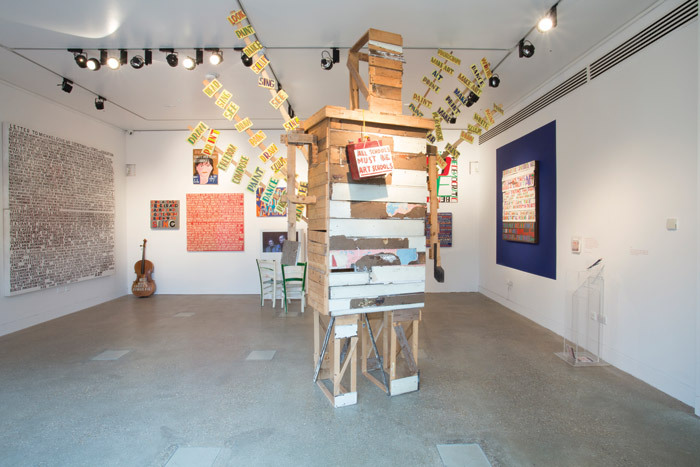 The party launched at the Pierogi Gallery in New York, and, with Arts Council funding, included a two-day conference in Scarborough, where 2,000 people discussed art and its importance to humanity. 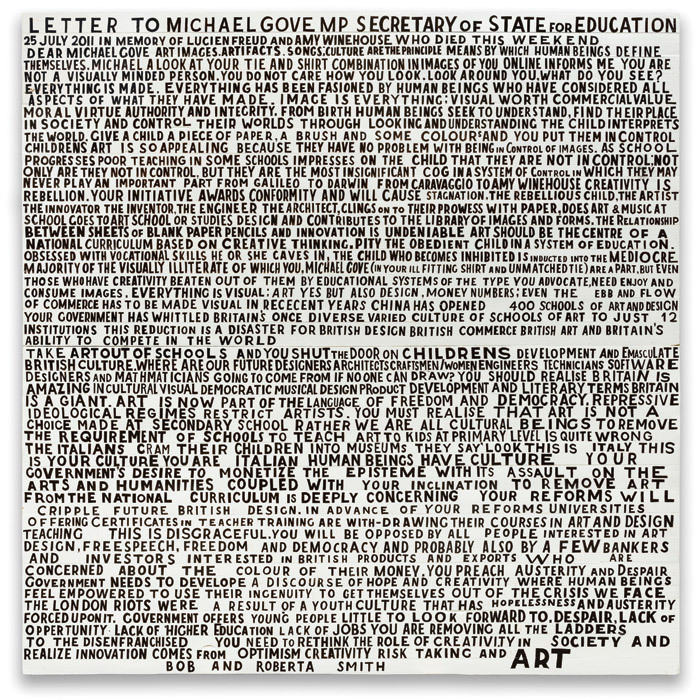 Under the Art Party banner, he went on to stand in the 2015 general election against his nemesis, former Conservative education secretary Michael Gove - architect of so much that is wrong with our art education today - having crowdfunded his campaign via sales of his text-artwork Letter to Michael Gove, at £100 a pop. 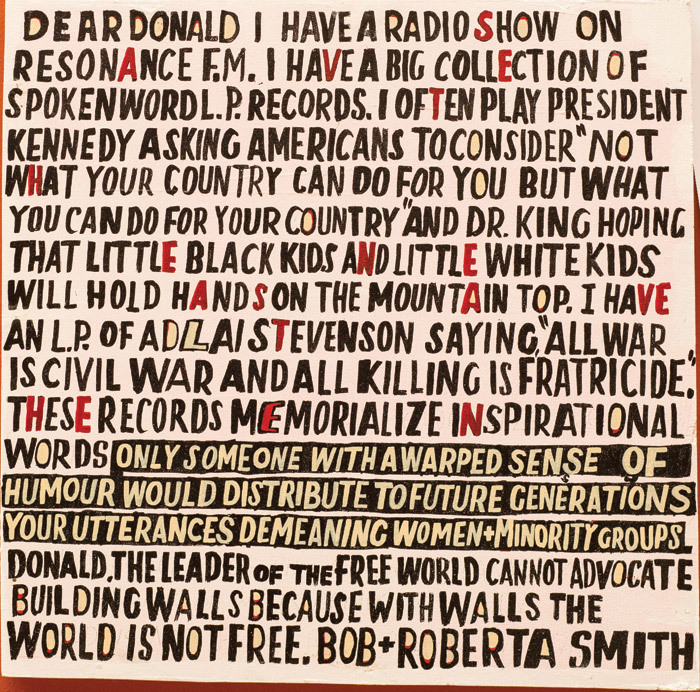 Text-artwork Letter to Donald Trump (2017), exhibited as part of the Royal Academy of Art’s Summer Show this year. Photo Credit: Royal Academy Of Arts. Right now, however, we’re sitting down in one of the art studios at the Cass School of Art — an art college that may be facing an uncertain future thanks to funding shifts and management rifts — where he is an associate professor of fine art. We are here to discuss the enticingly provocative and pragmatic work that he is evolving for the Folkestone Art Triennial. Open now, it is the fourth Triennial this once prosperous seaside town has hosted. Over the years, works by Tracy Emin, Cornelia Parker, Yoko Ono and Pablo Bronstein have popped up along its seashore and high street. It would be fascinating to listen in on the cultural debates this event has aroused in the living rooms and kitchens of its unique civilian population: an uneasy social bedrock of the indigenous Kentish — from the grafters to the long term-unemployed to the gym-slip mums — with a middle layer of newly arrived refugees, and a recently added top layer of creatives attracted by its cheap houses, seaside location and a fast train to London — and also quite probably by the existence of the Triennial itself. 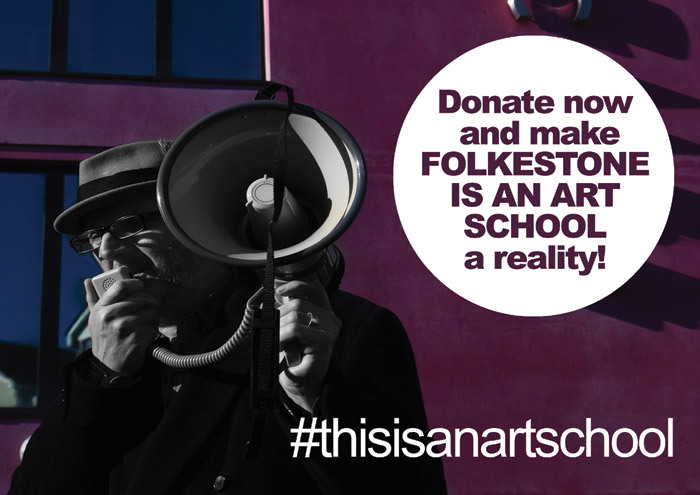 For this fourth Triennial, Brill is turning the whole of Folkestone into an art school. He has hired a faculty of 12 people — a variety of artists and academics who live and work in the town — and found a cohort of students from local colleges. He has released a series of whimsical short lectures on Vimeo (that indicate a strong affection for Monty Python), each with a homework assignment attached. 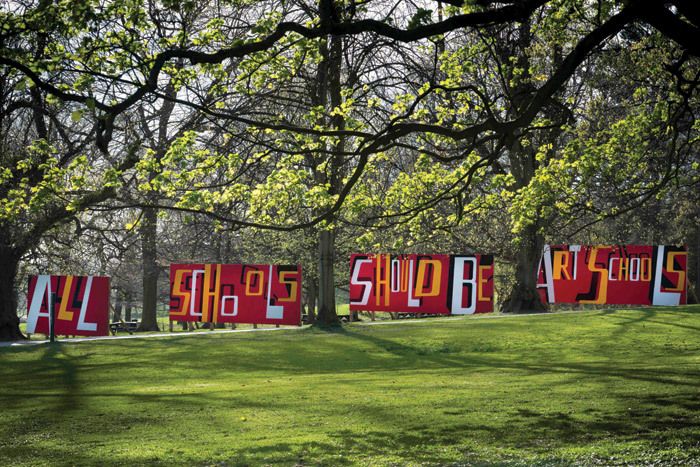 His idea is that this isn’t an art school just for the chosen cohort — who will undergo their training during the Triennial’s ten weeks — but for everyone. Anyone can access the lectures online or post their work on Instagram (#folkestoneisanartschool). And the Instagram community gets to conduct the critique. Genius idea, I thought. But I wanted to know more about its gestation. Though he rarely, if ever, actually comes across as angry, Brill is horrified at the way the free art education for which Britain became so famous in the Sixties — breeding rebels, politicians, rock stars and also some of the world’s most interesting, exciting and provocative artists and curators — has been obliterated by the past decade of ill-informed, short-termist political decisions. Thanks to the introduction of punitively high fees, far fewer UK students are now accessing further education courses in art. But we are also now left with few state schools including art or making, in either the primary or secondary curriculum, thanks to a massive panic among school leaders to focus on the pedestrian objectives imposed on state schools by the Tory/Lib–Dem alliance through its bully-boy tactics (formulated by Gove): in short, fail to achieve the right grades in English, maths or science, and we will put you into special measures. 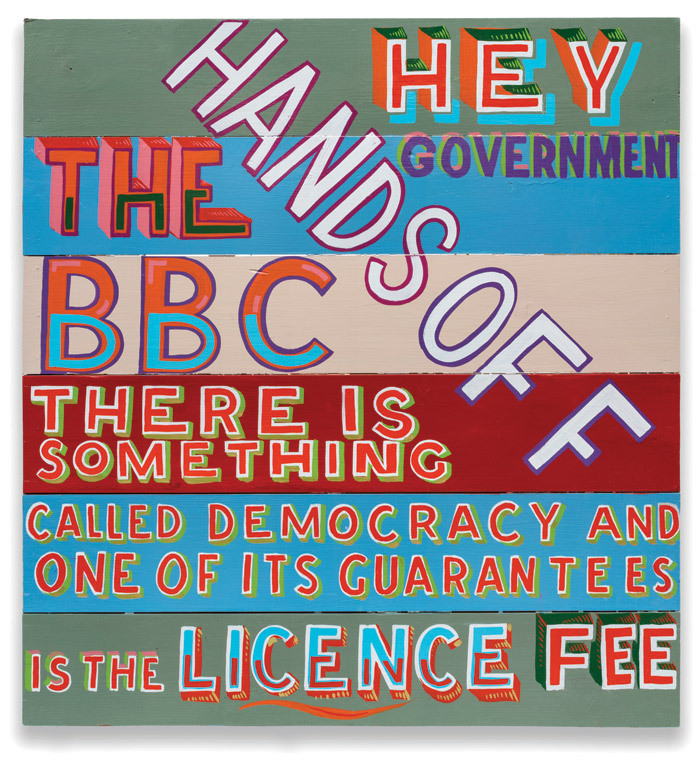 Though his posters and slogans often have an ‘off the top of the head’ breezy informality, Brill has been digging deep into the origins of and inspirations for our art education heritage. 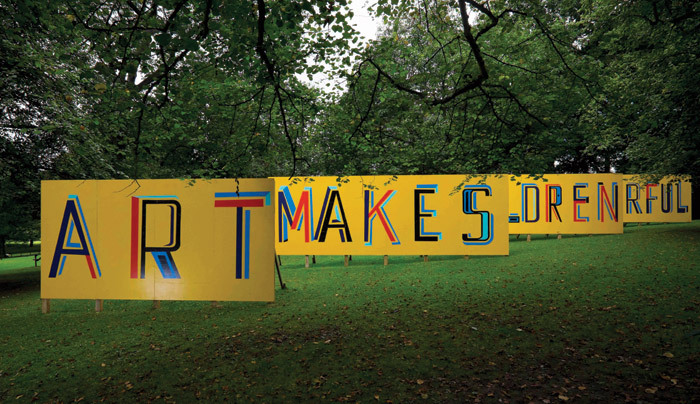 ‘Two years ago I spent a long time working in the National Arts Education Archive [part of what was Bretton Hall, now held by Yorkshire Sculpture Park]. One of the amazing things in there is the documentation of the beginnings of the Child Art Movement after the First World War, and it was all about trying to deal with why Europe had gone to war.’ The Child Art Movement was born out of a growing understanding of psychoanalysis and trauma, and the idea that art could be a pivotal therapeutic tool in expressing and resolving traumas. 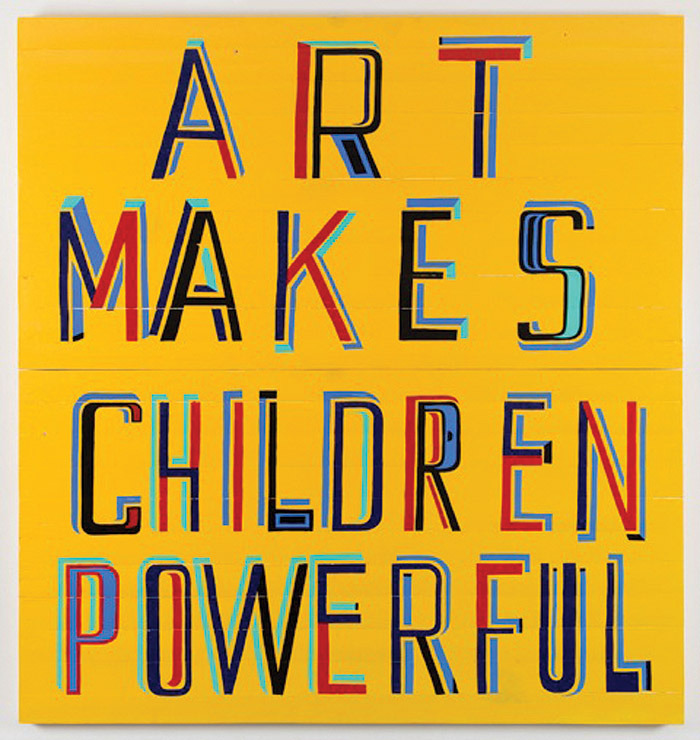 Pioneered by Czech-born artist Franz Cižek in Austria, it was embraced with enthusiasm by progressive UK educators, gaining currency for a move to include art and music as key subjects in the school curriculum. After the Second World War, the United Nations Convention on the Rights of the Child (UNCRC) placed opportunities to participate in and enjoy art high on its list of requirements: Article 31 in the charter states that ‘every child has the right to relax, play and take part in a wide range of cultural and artistic activities’. 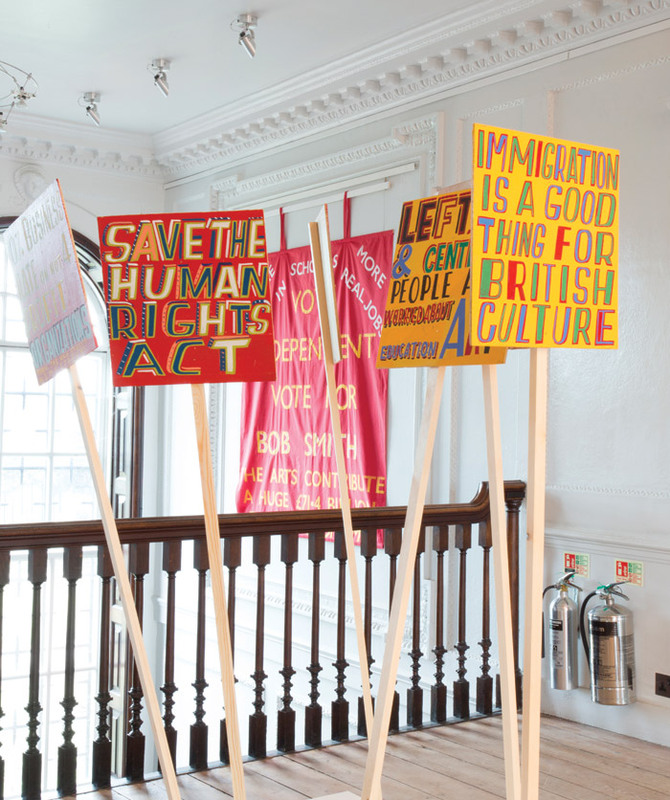 Brill says: ‘My idea about this, declaring Folkestone an art school, is born out of the sense that, whether you’re going to become an artist or not or whether you’re going to really be engaged and have that opportunity to go to galleries or not, art is a really important thing for human rights and expressing who we are as human beings. There is no syllabus, as such, but a desire to encourage people to make their own connections, provoking curiosity and experimentation. He says: ‘I think that’s essentially it: to provoke curiosity but also think about what curiosity is a little bit, and creativity. It’s very hard to define those things. One thing is that curiosity is predicated on an assumption about discovering a world that is essentially heuristic and open. I ask him if the situation has got worse since the ‘maximum’ suggested annual tuition fee of £9,000 became universal. ‘It’s got exponentially worse since fees came in because attainment has also got mixed up with accountability, and that’s a disaster,’ he replies. 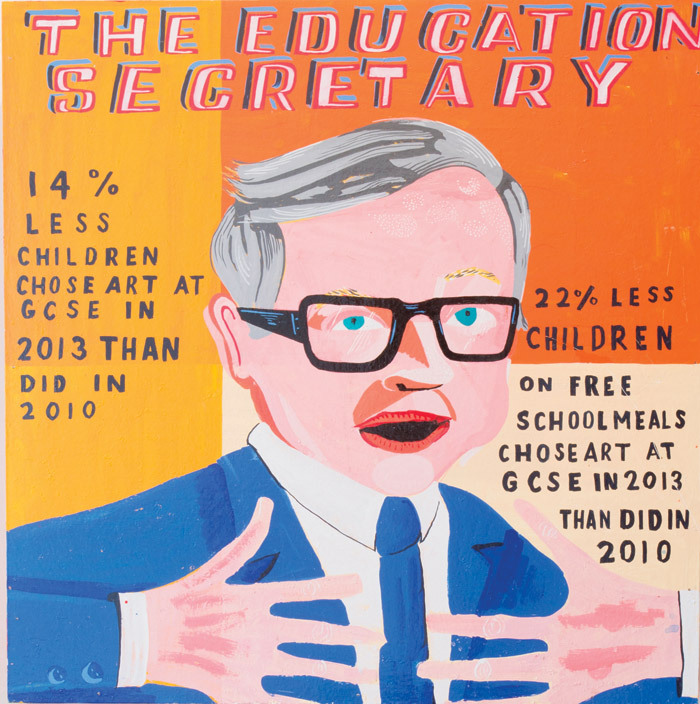 With this in mind, what sort of shape would he say the UK’s art education is in, at tertiary level? He surprises me with his genial response: ‘I think the patient can definitely be rescued.’ So it’s still breathing? ‘Definitely still breathing’. Under these circumstances, how can he retain any optimism? ‘There is cause for hope… because there is a revolution going on that is about education and I don’t think there’s ever been a time when there’s been so many people in their late 20s, early 30s, who have really good ideas about how to integrate maths and science and art and technology, and teach them in a much more holistic way. We have a generation of potential educators that have a completely integrated understanding of technology and science and how to transfer ideas, in a way we never had before. And that is akin to the Bauhaus. It’s like the beginning of the 20th century [and the aforementioned Child Art Movement]… It took a long time for that to feed into education. It will take a long time now — we have a period of being slow on the uptake because we’re so down on our education. It means that the [incoming] generation of students are a bit stifled.’ All it will take, he thinks, is a ‘change in political will’. I wish I had his confidence…. How fabulously British and pragmatic and nice of him to say so. 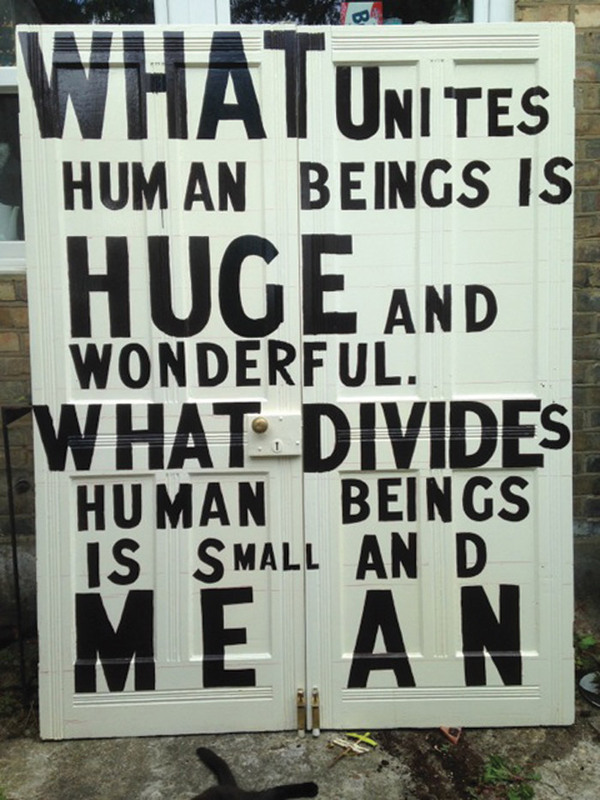 But is niceness the antidote to the current educational, cultural chaos? Perhaps it is — we’ve had a bellyful of nastiness, which just mires us deeper into a toxic social and cultural landscape. Niceness has its place — along with decency — in public life. 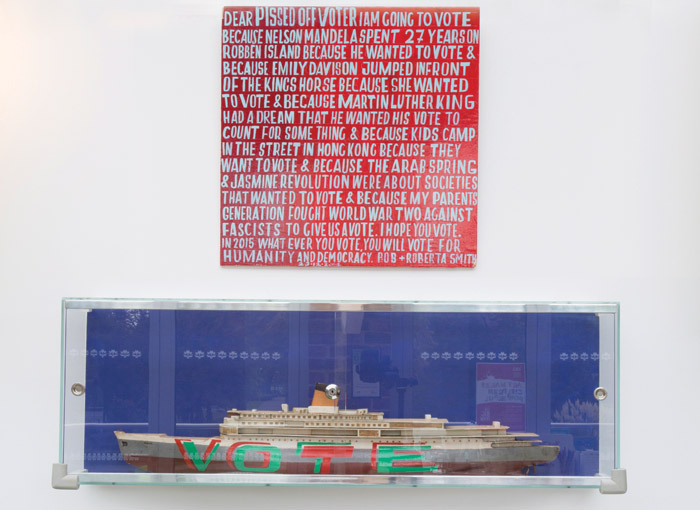 And I have to say, his work at the Royal Academy Summer Show 2014 stopped me in my tracks: a massive painted transcript — spelling mistakes included — of an interview between BBC Radio 4 presenter Eddie Mair and David Nott, a British doctor who volunteers to treat the wounded in Syria’s field hospitals. Its painstaking account, in paint and board, of the day-to-day life of someone who confronts death, disaster and horror — voluntarily — blew away every trivial cat/flower painting or egotistical architectural bauble in the building. Niceness with bite; context is everything. Expect Folkestone and its citizens to start trawling skips for materials and pottering around in their sheds with poster paints, and sticking the resulting slogans in their windows and front doors. The revolution starts here.